To help protect the Park’s rich, peaceful and natural environment, Sir David calls on visitors to “Tread Lightly in Richmond Park - leave nothing behind, take nothing away and respect the wildlife. 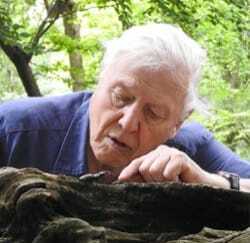 Richmond Park - National Nature Reserve is a new film presented and narrated by broadcaster Sir David Attenborough and commissioned by conservation charity Friends of Richmond Park. The deadline to register to vote in the General Election is Monday 22 May. 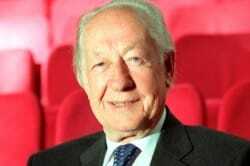 For my generation Brian Matthew was a significant figure. Ian Dury described him as “the great Brian Matthew - a huge influence” and he was right. He wasn’t a trend setter or an icon of the times. He didn’t have any hit records and his picture rarely appeared on teenage bedroom walls. He didn’t set any fashionable trends or challenge the accepted order. He was just what he was - an ordinary man who presented radio shows that featured the music that we liked. He was a friend, a mate of my generation and a friend of our favourite stars - and because of this the stars became our friends too. That is why we will miss him. 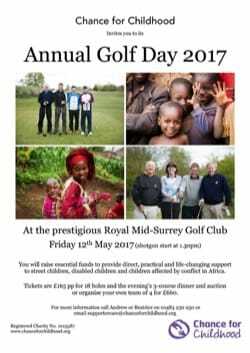 Chance for Childhood will be running our Annual Charity Golf Day at the Royal Mid Surrey Golf Club on Friday, 12 May 2017. Now in its eighth year, our Golf Day is one of our key fundraising events, bringing together around 70 players to raise essential funds for our work. Ninety four percent of in-borough applicants have been offered a place at one of their first three preferred state-funded primary schools. 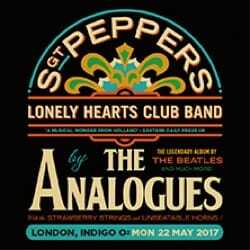 A special offer available to readers of the St Margarets newsletter and visitors to the website as we live in an area with such great Beatles links. The annual Turks Head 10k will be held on 11 June 2017 this year. The race is put on by the Bearcat Running Club, a Sunday morning club based at the Turks Head Pub in St Margarets. The Teddington Action Group are hosting a public meeting to help inform people about the real impact of a bigger Heathrow on the 28 April from 7.30pm to 9.30pm at Worship Hall, Teddington Baptist Church, 17 Church Road, Teddington TW11 8PF. 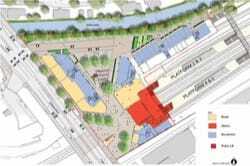 If you haven’t noticed, works have stated on Twickenham Station by the developer Solumn. This will effect access to the station and travel on many, many weekends over the coming year.